The fleur de lis is central to the crest design and represents the history of our name sake, Patrick Sarsfield. The name of the Club in Irish is set above the fleur de lis. The establishment year of the Club, 1972, is set at the bottom of the crest. The official GAA insignia, which was introduced in 2009, is at the base of the design. The colours of green and white are at the centre of the crest design. For branding purposes (jerseys, training gear, flags, letterhead etc. 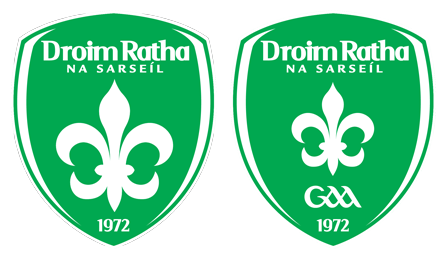 ), the alternative crest design can be used which removes the GAA logo in favour of a large centre element. 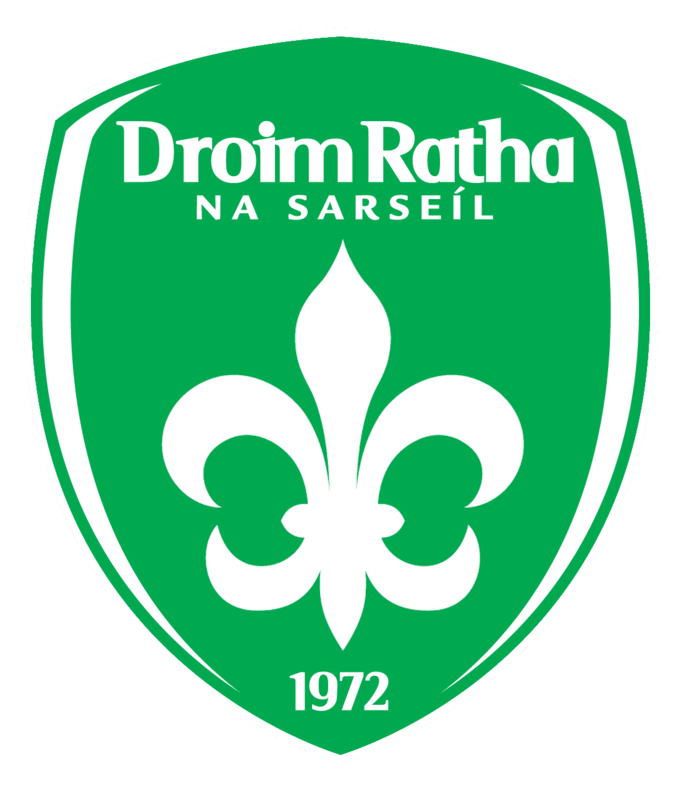 This modern Drumragh Sarsfields crest replaced the previous design from the late 1990s. The new design was introduced in 2009 after an extensive redesign by Lairdesign. The crest first adorned the Senior Jersey with a steady roll out across the Club following. The club crest is free to use for non-commercial purposes. 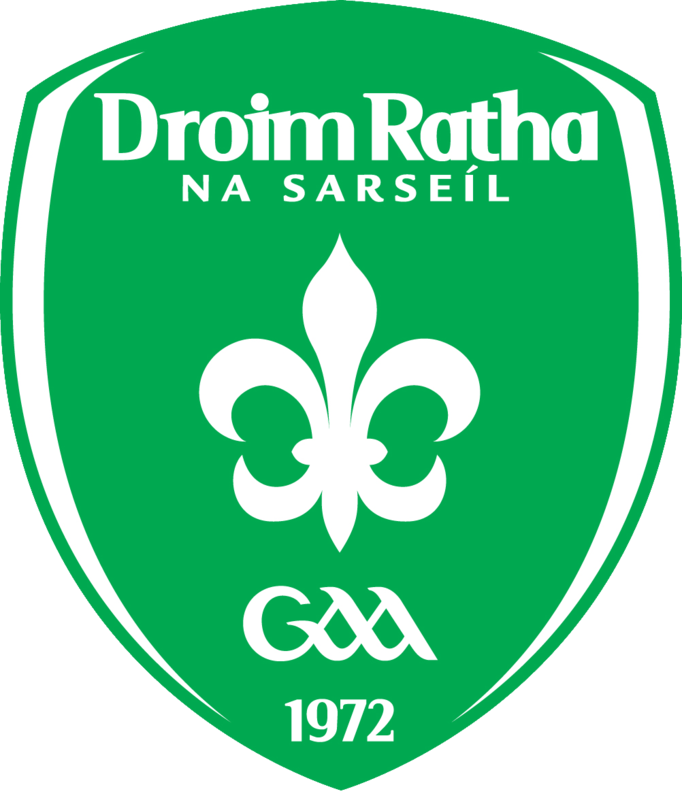 Download a high resolution image of the crest here or here (without GAA) for free-to-use promotion purposes.